So I'm back from a week in Nova Scotia with Taylor. He has gone to Ottawa to visit Bill's family and will be home the end of the month. Bill is going to meet up with him this week and they'll fly home together! So what's a trip to N.S. 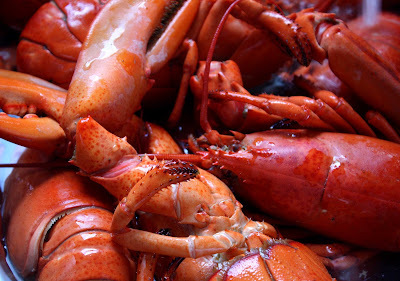 without a lobster boil? Here are a few of those yummy bottom feeders! 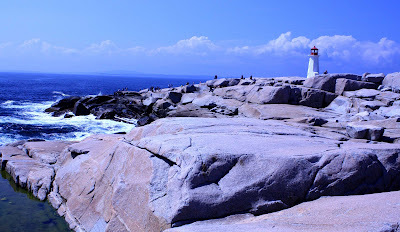 Marjorie (my sister), Taylor and I had a perfect day at Peggy's Cove. We climbed the rocks and watched the waves for close to three hours! My legs let me know how much exercise we did the next day! 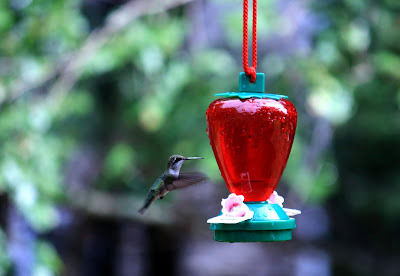 Got to photograph lots of humming birds at my parents place in Cambridge. No shortage of bird action there! A sight not seen everyday but still common enough. 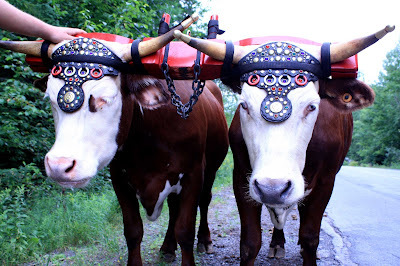 We managed to get pictures of this oxen team on my way back to my parents. No trip to Nova Scotia would be complete without a trip to Summerville Beach! This is the most beautiful beach near Liverpool where my Aunt lives. The rain tried to keep us away, but it was no match for our "Dollar Store" ponchos! 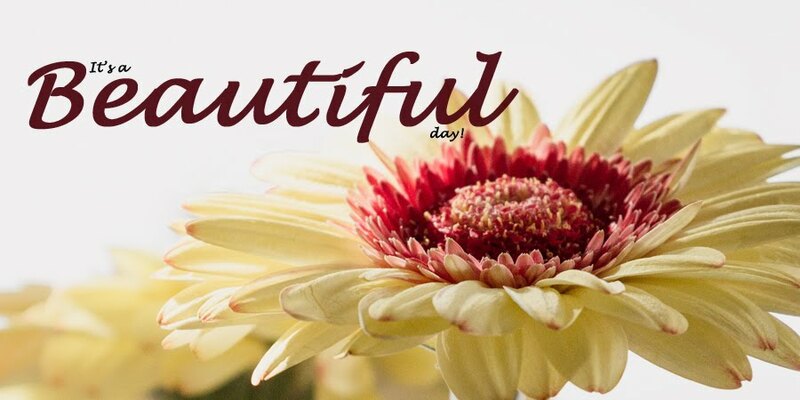 We had great afternoon! 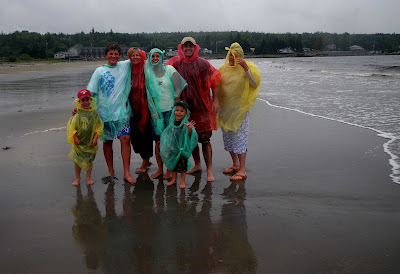 The kids ditched the ponchos and enjoyed the waves and water while the rest of us looked like Telly Tubbies. So the longer I am away from "home", I am realizing that you can take the girl out of Nova Scotia but you can't take the Nova Scotia out of the girl! WOW! Looks fantastic!!! Sounds like you had a wonderful time, and I just love that oxen photo!